The View Medium Chair and Ottoman, available in black Paloma leather with a black signature base, combines timeless comfort with contemporary design. 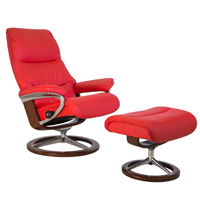 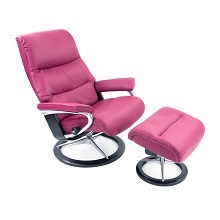 The View Chair features a long, slim back and pillow design that is generously cushioned and proportioned. 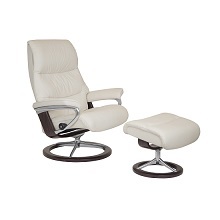 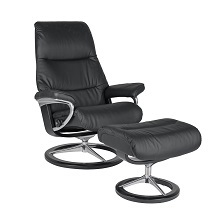 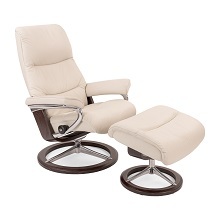 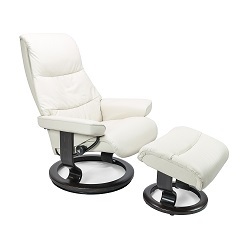 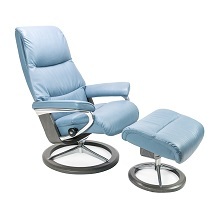 The chair is equipped with Stressless Glide and Plus systems, which allow the recliner to adjust to shifts in body movement and weight and deliver full support to the lumbar spine.